Ever wanted to run away from life’s predictable routine? Or stop relying on coal and drive down your bills? Here, we briefly run through every aspect of cutting the cord and living independently. Going off the grid can mean so much more than electricity. It can extend to water, food and waste. Most of this stuff crosses over with permaculture, a philosophy of working with, instead of against nature to provide everything you need to live. The research into this field is practical, using the science of input-output (law of thermodynamics) to solve many challenges. Here’s a list of 37 permaculture educational centres across Australia if you want to get stuck in. .“Energy cannot be created or destroyed; it can only be changed from one form to another.” – Einstein. Australia is very lucky when it comes to sunshine. Abundance doesn’t begin to describe it. Perhaps that’s why we’re the world leader in adopting solar with 20% or 2 million homes harnessing the power of the sun. This has also been fuelled by government incentives, which rebate up to 50% of the cost to install panels in Victoria, which means you could only pay $2255 for a $5000 set-up. Not bad. There are currently 37 incentives ranging from grants, loans and rebates across Australia, use this handy tool on Energy.Gov to find one in your region. Before you start shopping, dig out your energy bills for the year and calculate your average monthly power consumption (kWh). A typical home uses 20kWh every day and the average sunshine can generate four times the combined panel kW. For example, a 5kW panel can generate 20kW per day. A single person will need only 8 kWh, while a family with a pool will need 33 kWh. Melbourne gets 2,300 hours of sunshine a year vs 3,200 hours in Perth. Crunching the numbers based on household size and location is massively important to avoid overpaying for panels. Next, we need batteries to store all this power; especially in Hobart and Melbourne where there are a tragic 120 hours of sunlight in June. Batteries used to be a headache when it came to living off the grid. 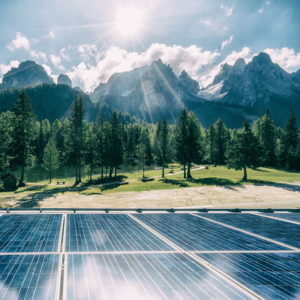 However, the lowering cost of storage and the introduction of Tesla’s genius Powerwall means the lights stay on for up to seven days without sunlight. Finally, there’s the inverter unit, which converts the sunlight energy (DC) into energy that comes out the plug socket (AC). If you want to go off the grid, you need to seriously evaluate your water consumption. The average Australian uses 340 litres of water, per day! Showers and toilets are the main culprits. Making a switch to baths and investing in a compostable toilet are cheap, quick and easy ways to bring down that number. Our most basic need for survival is one of the hardest to find in a continent with the second lowest rainfall in the world after Antarctica. 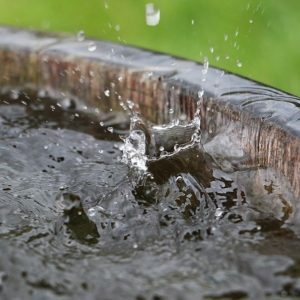 So, for many of us in the south and west, generating enough household water from rain may be tricky and we might have to think twice before watering the garden. If you live in the tropical north, however, you should have ample water in the summer. Those clouds definitely have a silver lining. Whether your area has lots of rain, or just a little, considering how to store all that water is paramount. The bigger your roof, the more rainwater is caught; the larger the storage tank, the longer you can last without rain. Before you start shopping, check with your local authority as you may be eligible for more rebates. While you’re there, you should also check to see if you need planning permission. Some (more tropical) councils have rules in place regarding mosquito breeding prevention, noise regulations for the pump and even drinking rainwater. increase the life of the tank and protect the water quality. ………………. Plastic (Polyethylene) Above or below ground Cheap and durable. rust isn’t an issue. good option for people living near the ocean. Once you’ve decided on a tank type, don’t forget to budget for an excellent domestic pump. It will need to deliver 20L a minute to match a typical domestic town water tap. A good plumber will fix everything into your existing set-up and ensure a strong water pressure. Ecowater, featured at the Home Show, are the distributors of the Fujiclean wastewater recycling system – which means even fewer water requirements. Good Ol’ gardening has been a pastime for hobbyists over generations. But the advent of gridless culture gives practical people more reasons to dig out the spades and pots. Supermarkets dominate our food shopping habits, but the guilt of additives and CO2 emissions piles on the reasons for cutting out the weekly grocery shop. Gardening is ideal for those in the suburbs with heaps of backyard space or even an urban rooftop. There are also enormous benefits to installing a small pond with baitfish, crustaceans, insects, predatory fish, fowl and water plants. The fertilised water supplies vegetable irrigation and the fish can be harvested (and eaten). Soon you will have a habitat that provides food and a home for other animals like birds and frogs as a by-product. If you live in a tiny home or an inner-city apartment, space is scarce and you will have to turn to a new innovation in gardening, aquaponics. It’s a man-made re-creation of the above-mentioned habitat, where fish and plants live symbiotically. Dirty fish water pumps into the garden, the plants use the nutrients from the water and the clean water is circulated back into the fish tank. Aquaponics showed off their invention at the Home Show, featuring an all in one system that efficiently grows your fish and veg using just a low power pump. Using the process of simple organic decomposition to break down waste into safe compost, the CM2 produces odourless compost (it will smell like rich, dark, moist and healthy garden soil). This gets dumped on to the compost heap, mixed in with food scraps and green waste to form super compost. This process casually saves a swimming pool of water every year. Worm farms can take care of other rubbish like tea bags, tissues and hair. Finally, put all your cardboard, glass, plastics and tins into the recycling and you should have very little left to go into landfill.